The appeal of most murder mysteries is the fascination of the newly committed murder. The reader enjoys working alongside the sleuth to interpret newly-found clues and suspects. However, Agatha Christie’s Five Little Pigs flips that aspect on its head by having the novel take place some twenty years after the murder took place. Because of this fact, a murderer is already tried, convicted, and killed for the crime. However, new evidence from the convictee’s daughter reveals that the case might not be as sealed shut as it seems. 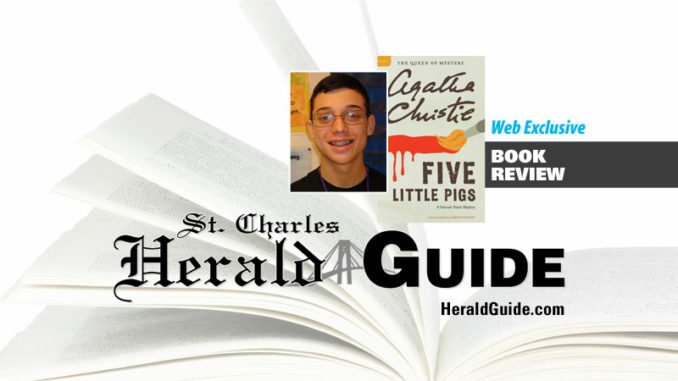 Five Little Pigs opens with Agatha Christie’s most well-known character – Hercule Poirot – sitting in his office when an interesting young lady walks in. She implores him to assist her in proving her mother’s innocence, twenty years after she was killed for murdering her husband. On her twentieth birthday, the girl received a letter that her mother had written stating her innonce. What follows is a wild goose chase for a murderer that took action twenty years ago. Poirot travels around England, talking with the small group of people who were present on the day of the murder to formulate his masterful opinion. Christie’s Five Little Pigs is a wonderful mystery novel that puts a unique spin on the old, worn out genre that only Agatha Christie could enliven. 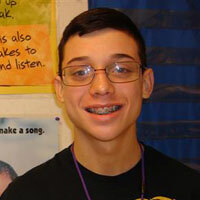 Peyton Tastet was a junior in Hahnville High’s gifted English program. He enjoys spending his time afterschool participating in the school’s band and theater programs, and enjoys giving back to the community through the school’s student council and beta clubs.